You’ve heard all the gurus out there talking about marketing funnels and they sound like big scary things that are really complicated implement. It’s true, marketing funnels can be pretty complicated because there are lots of moving parts. But when you break it down, setting each part up is actually pretty simple. 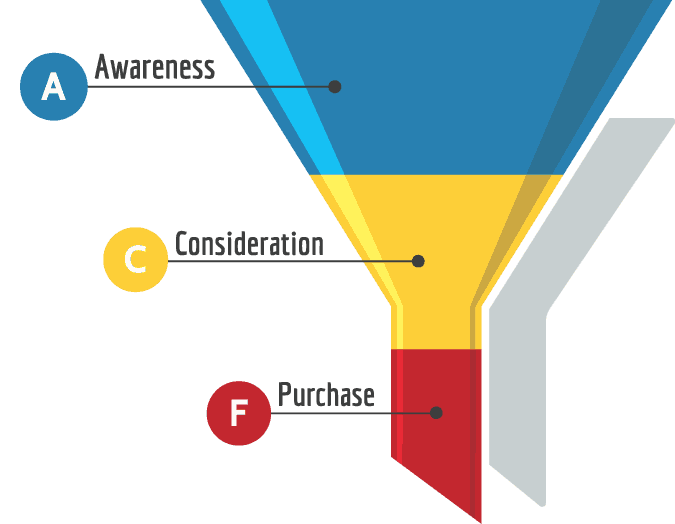 What a marketing funnel is and why we need one. Why traffic isn’t the most important important metric. The importance of understanding the customer lifecycle. 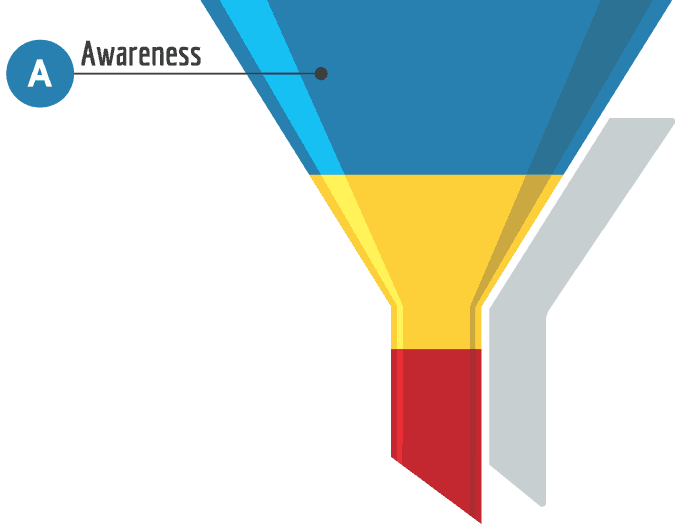 How you can build an epic marketing funnel. Why is Everyone so Obsessed with Traffic? Let’s start from the very beginning. 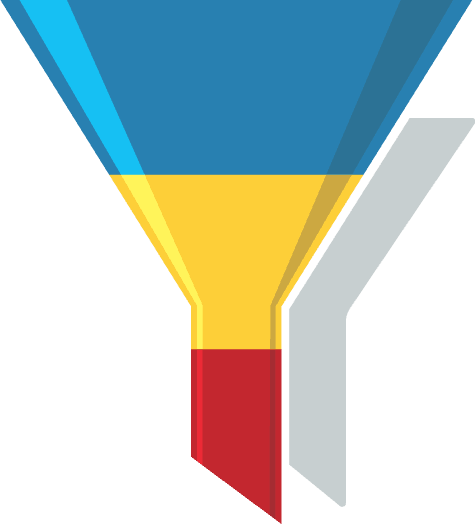 What is a funnel in the most basic meaning of the word? Because a marketing funnel is no different. Our conversion jar has a very small opening… there’s very little we can do about that so we need a funnel to make sure we don’t waste our traffic by spilling it all on the floor. And this is true. Of course it is. But it’s not the smart way to market your brand. By implementing a better marketing funnel, you can get more conversions from your existing traffic. This is the smart way to do digital marketing. Getting traffic is difficult and expensive. Make life easier for yourself by building a marketing funnel that makes the most out of every visitor. When I started my first ecommerce store back in 2013, I didn’t understand the concept of a marketing funnel. I had created a t-shirt brand and I was convinced it was going to be the best thing since sliced bread. But I knew nothing about business or marketing! In the early days I did lots of PR, before moving onto social media promotion and paid advertising. A couple of street stunts got us picked up by the press and the traffic started pouring in. From day 1 we were getting thousands of daily visitors but no one was buying anything! I couldn’t work out why our conversion rates were so low. Our existing customers loved the products but it was so darn hard to get new customers. They were disappearing from the site as quick as they came. I wish I could say I found the solution right there and then but I didn’t. I eventually ran the business into the ground. AND THE NEXT ONE! It was only when I was launching my third ecommerce business that I finally began to understand the concept of a marketing funnel. You see, up until this point, I thought that all traffic was hot traffic. I didn’t realise that the customer buying process is a long one. 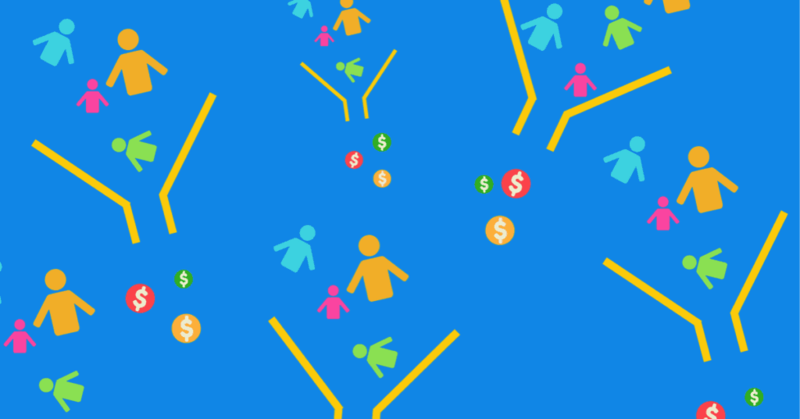 A marketing funnel understands that cold traffic doesn’t convert. Because the chances of someone landing on your website for the first time, pulling their credit card out and purchasing something are next to none! When have you ever done that? I know I haven’t. It’s only once I’ve become familiar with the brand and had multiple interactions with it that I seriously consider making a purchase. What are you doing for people that aren’t ready to buy? Because that includes almost 100% of new visitors to your website. According to Big Commerce, the average ecommerce store has a 1-2% conversion rate, with 2% the highest performing ecommerce stores around. That means that out of every 100 people that visit your store, only 2 are going to make a purchase. So what are you doing with the other 98 people? Are you just going to let the majority of your visitors walk away after you put so much effort into getting them on your site in the first place? NO! Of course you’re not! Now that we understand this, we can actually give our website visitors a much better experience. Which is what they deserve right?! The top of the funnel is where you generate all that cold traffic. The objective here is to create awareness. All you need to do at first is get one singular interaction with a potential customer. Remember that there’s no point in sending cold traffic to a sales page. It simply won’t convert well. Try sending people to content pages where they can learn about you, your brand, your industry, or, best of all, their problem! PAY ATTENTION: This is where it all starts to go wrong for most people. At the end of each stage of the funnel, it’s incredibly important that you set yourself up for the next stage. Remember, once you’ve got someone onto your site for the first time, you’re not going to try and sell to them right? Of course not, because, as we’ve already learned, only a tiny percentage of your traffic will ever convert the first time the discover your brand. Facebook – First you’ll have to install the Facebook Pixel on your site before setting up your custom audiences. Google – You can see a complete guide to set up Google remarketing here. The best possible way you can set yourself up for the middle of the funnel (MOFU) is by collecting your visitors contact information. That way you send them emails, text messages or even call them! Remember the ecommerce 1-2% conversion rates we discussed earlier? That’s the percentage of people who are willing to buy your products on the first visit. But you can expect the conversion rate for a lead magnet to be much higher. These landing pages were offering a free ebook that I created. One of our experiments converted as high as 26%! The little box with a fake pitcure of a book and a sign up form at the end of our blog posts got a 46.07% conversion rate! That’s epic compared to our pathetic 1-2% ecommerce conversions. Drive traffic to content on your site and capture leads with lead magnets. In the TOFU we managed used content to provide solutions to problems that our target demographic has. By doing this, we have put ourselves on the radar and earned the trust of our potential customer. They’ve enjoyed the free value we gave them with our content and in the process they discovered our brand, and hopefully our product. Now they enter the phase of consideration. Remember, they’re considering… that doesn’t mean they’re ready to buy just yet, so don’t shoot your load too soon. Now it’s time to nurture and educate. Step 1 – Show how your product can solve their problems. Paint a picture of what life will be like with your product. Stimulate their emotions by putting them behind the wheel. Step 2 – Remove all final doubts and concerns they may have. FAQs – A great opportunity to answer any common questions (and save your customer service guys a lot of time!). Social proof – testimonials, social media followings, product reviews, etc. Guarantees – Easy returns, money back if you’re not satisfied… that sorta thing. Stimulate the emotions by painting a picture of how your product can solve the lead’s problem and then remove all reasons for concern. So. You’ve done the hard work. You’ve taken a lead from cold to hot. But they’re still in the consideration process. So how do you get the conversion? Well, for some leads it will be easy. Some of them will have been so convinced by your middle of the funnel marketing that they’ve probably already converted without the need to do anything else. But then you’ve got the sticky ones. The guys and gals who spend way too much time contemplating. You know the ones I mean. I’ll bet you’re one of them. For the contemplators, the dwindlers, the skeptics… it’s time to pull out a little marketing 101. If you’ve done a good job in the MOFU, they’re never going to be in a better mindset to buy that right now. So it’s time to do whatever you can to push them over the edge. This means giving them an offer that they just can’t refuse. We can do this by either reducing the price, or increasing the value. A QUICK WORD OF WARNING: You may be against discounts. I am too. Well… no. I’m actually against discount brands that run storewide discounts. That’s just really bad marketing in my opinion. I am, however, a massive fan of trigger-based, personalised discounts. What trigger-based, personalised discounts allow you to do is to offer a discount to someone, right when you are about to lose them. Think about it… You spend money on Adwords to get someone onto the site. You spend time and money on creating an ebook that you then give them for free. You’ve then spent time and money sending them emails, retargeting them with banner ads, answering their support questions – are you really going to let them just dissappear right and the end and waste all that time and money?! No! At this point it’s time to offer them everything you’ve got otherwise all else is lost, and sometimes that means offering discounts. Remember, even though this eats into your margins, as long as you’re doing your job correctly you’ll get them to come back and make future purchases and they’ll probably talk to their friends about your products too. This is a great option if you haven’t offered it already. Free shipping will come at an expense to you but if you’re trying to avoid offering discounts then it’s a good way to offer a discount without actually offering a discount… if you know what I mean. If none of the other options are possible for you then you might want to look at adding extra value to the product for the same price. This could be an accessory, a DVD set, a book, anything you can think of. It can be super cheap but it may still be enough to push someone over the edge. The Final Most Important Thing for the BOFU… Urgency & Scarcity! Combine any of the above options with urgency and/or scarcity and you’ve got a recipe for success. What they were experiencing was the perfect BOFU strategy being unleashed on them. It’s what happens to millions of us every Black Friday – the holiday that has built itself around this very principle. This works so well online that they had to create another holiday just a few days after and call it Cyber Monday. It’s tried and tested and it’s been working for years. It’s time to give it everything you’ve got to push someone over the edge and make that conversion. Combine discounts, free shipping and added value with a sense of urgency and scarcity or you’ll risk wasting all your previous efforts.